« Transit Of Venus – High Def. NASA Video. It’s suitable for everyone, even the kids. It’s very easy to operate as it uses a very simplistic interface that looks similar to the controls of a video game. It doesn’t feel like boring, traditional astronomy software either. It’s not only educational but it’s also heaps of fun to use and it is very affordable. You will actually have fun and learn something while using this. 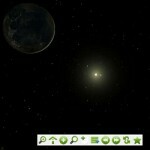 Is It The Best Astronomy Software? It shows you how everything fits together, like the planets’ orbits. If reading those textbooks in school left you confused and your teacher lecturing you didn’t help either, 3D Astronomer will help you to understand how the universe works. It will help you to answer all those questions you have and finally put all the pieces of the cosmic jigsaw puzzle together. I like the idea that you can sit at your computer and travel through space viewing the planets, the sun, the moon, galaxies, nebulae and more in high quality detail. Unlike other programs, you are not limited to viewing space from the surface of the Earth, you are free to move anywhere that you like. You can visit our neighbor, the moon or shoot thousands of light years across space to the far corners of the universe. Back on Earth, if objects are too far away for you to see clearly with your telescope and they appear as a blurry blob or you simply don’t have a telescope, with 3D Astronomer you can see them up close and in detail, right from the comfort of your home. 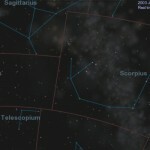 It uses actual scientific data to show the location of constellations for example. Data and images used by the program have been sourced from NASA and the European Space Agency. All measurements used are based on those gathered by these agencies. So you can be sure you are viewing a scientifically accurate model of the universe. Everything is where it is supposed to be. In fact, all movements are real time, that is they are based on your computer’s clock. 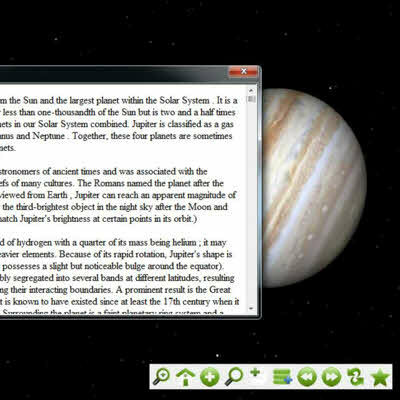 So the sun, moon, planets etc are shown in the program where they actually are, just like if you looked out the window. So if you see something in the sky and are not sure what it is, you can identify it and learn all about it. In fact apparently not just hobbyist star gazers use the program, but enthusiasts, astrophysicists and even astronomers are also users. But you don’t need a university degree to use it yourself. It’s a very easy program to learn to use. There is built in help and tutorials so you can figure it all out with out any stress. There is also a user manual and a help desk to provide support. They have even included some guided tours to show you the ropes and give you an idea of what the program is capable of. And you can sign up to the newsletter which gives you further hints and tips. In no time you and even your children will be able to visit Jupiter and examine it’s atmosphere up close or watch solar flares erupting from the surface of the sun. You can fly past Saturn and it’s rings and chase a comet as it orbits the sun. In fact it is a virtual planetarium with over 100,000 stars as well as the planets, moons and even 60 of the most recently discovered planets. 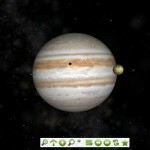 Realistic astronomy software that uses 3D models. You can do so much more than just star gazing. 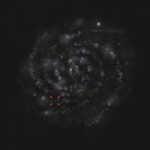 For example you can take in the beauty of galaxies – their mesmerizing shapes and mass of stars. Or you can study the planets up close and in detail – the clouds of Jupiter, the surface of the moon and mars or the rings of Saturn. You can also examine the amazing colors and patterns of nebulae. as everything is shown in high quality and in full color. If you want to know what the solar system looked like a thousand years ago or what it will look like in the coming millennia, you can speed up or reverse time and travel into the future or backwards through history. All objects have been created as animated, three dimensional models. This allows you to move around them and see them from any angle. You can get a feel for their size and see how nearby light creates shadows on them. It even shows the planets’ orbits so you can watch as they move around in their cosmic dance. Because the objects are shown as 3D models, you can watch day turn to night on Earth or the moon going through its phases. You can even watch a lunar or solar eclipse and see the relationship between the objects and understand why and how all of these events happen. It’s because of quotes like that one, that I think this is one of the best astronomy software packages available. They have even modeled certain spacecraft and satellites such as the Hubble Telescope and the International Space Station, as well as others, which you can follow while they zoom through space. 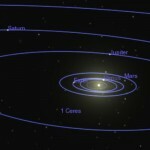 You will get an understanding of how big the solar system and the universe actually is. 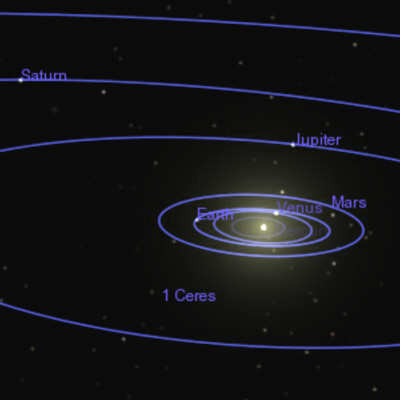 It shows everything to scale so you can get an idea of the distances between the planets for example. 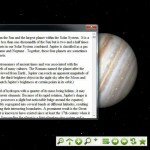 Astronomy Software Gives You Information About Objects You Are Looking At. The interface is completely customizable allowing you to control how much information it displays on the screen. If you see something and you are not sure what it is, you can turn on the information overlays and it will tell you all about it. You can also customize the controls so that operating the program becomes second nature to you. This is great if your children (or yourself!) have difficulty using a mouse, you can set up keyboard shortcuts for them to use instead. How many gadgets and gizmos have you abandoned over the years because you don’t like using them – they’re too tricky, too difficult to set up, they feel uncomfortable to use and so on. 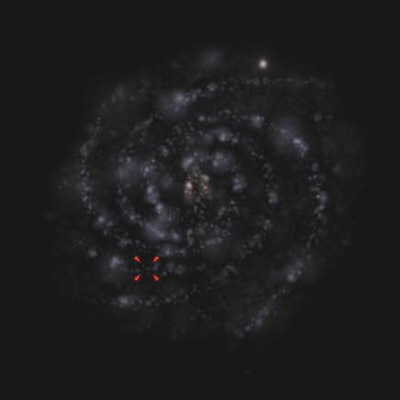 Well the good thing about 3d Astronomer is you can operate it just how you want it to. The program is part of the Open Source initiative. This means if you so wish, you can create your own add-ons and updates and share them with everyone else. Or you can use those created by others who have created their own. The program is under constant development. As new discoveries are made and our knowledge of the universe grows, such as the down grading of Pluto, the program is updated. And the best thing is, when you purchase it, you get free updates or upgrades for life – you don’t pay any more. The DVD version comes with 3 DVDs of extra high quality content. I like that there are two versions of the software for you to choose between. Starting from under $50 (correct at time of writing), there is a downloadable version or there is a DVD version, which costs a little bit more. The base version is available as a digital download and has all the basic features you need. There are plenty of objects included for you to study and it is available instantly after you make your payment. It’s around 100 MB so depending on your internet connection will take a few minutes or a bit longer to download. If you have an unreliable or very slow connection, you might prefer the DVD version instead. With this version, you can really explore the wonders of the universe. When you order the DVD version, you get four discs in total. The first is the program disc and there are three more DVDs full of extra images and objects to completely expand the program. These actually will look great sitting on the shelf in the study, or wherever you keep your DVDs. They also make a convenient back up in case you have computer troubles. In fact the DVD version is a great idea to give to someone as a present for Christmas or their birthday. I’m sure we all have a friend or relative who would appreciate it unwrapping it, I know I do. 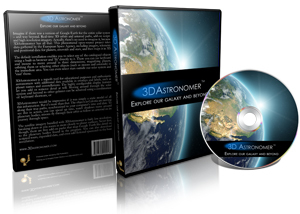 The best thing about 3D Astronomer is that it comes with a money back guarantee. If for any reason you are unhappy with it, you can get 100% of your money back with no questions asked up to 60 days after your purchase. You just have to return the DVDs if you ordered that version. For further peace of mind, the payment is processed by Clickbank. This is a company that processes a payment every 3 seconds and has been in business since 1988. So obviously they are safe, secure and reliable. If you want more information, read Clickbank’s Security Policy. I don’t know if it is the best there is as I have not seen every program available. But I have tried a few of them and 3D Astronomer is better than those. Why? 3D Astronomer is a very easy to use program with very simple controls, even the children can use it. It’s easy to use – you can be up and running straight away. Customizable so you can set it up how you want it to be. It uses real data from NASA and the ESA. DVD option gives you heaps more content. Heaps of help and tutorials available. Freedom to explore the universe. PC only, no MAC version. You have to wait for DVDs to be shipped. But when you think about it, they aren’t really that bad. You can get software to run PC based programs on a MAC. And you’re probably used to waiting for parcels to arrive in the post anyway. So now that you have read my 3D Astronomer review, I hope you will be as excited about it as I am. There are many hours of fun and learning ahead of you and your family. It is rather addictive how simple and realistic it looks. I never realized how beautiful the universe really is. you can get 3D Astronomer here. This entry was posted on December 6, 2012, 2:57 am and is filed under Software Reviews. You can follow any responses to this entry through RSS 2.0. Both comments and pings are currently closed.